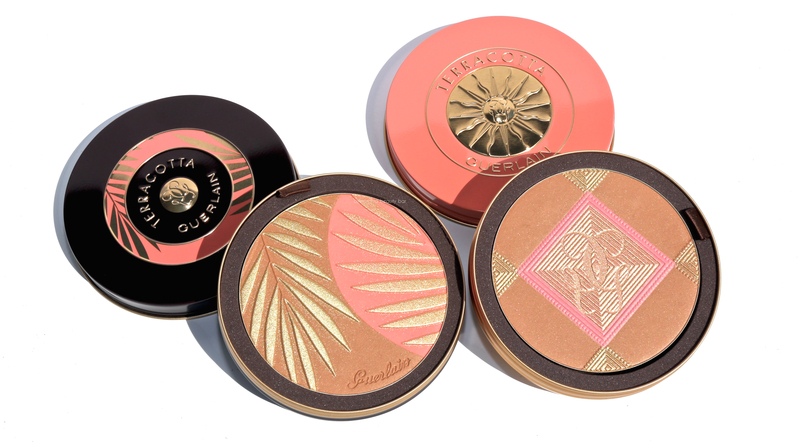 From the brand that has mastered the art of the faux glow, comes two new Terracotta bronzers, Sahara Jewel and Sous Les Palmiers. 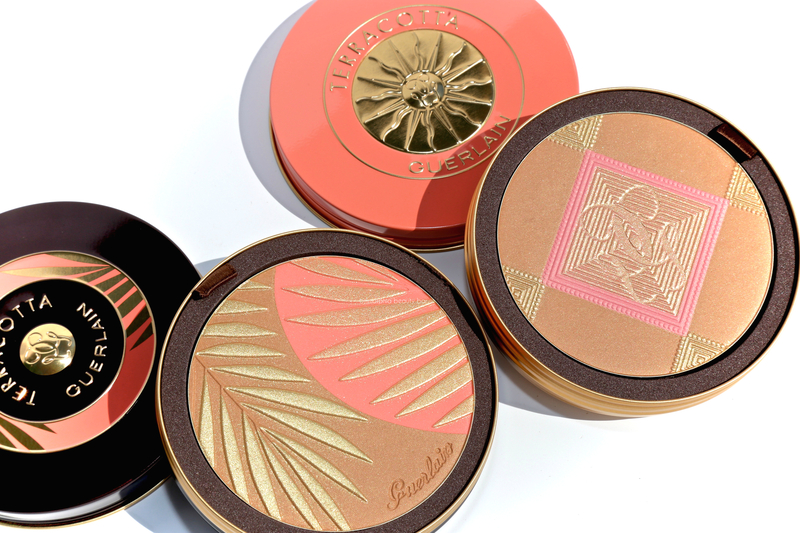 Intended to keep that Summer radiance going even when the weather begins to cool, I personally will be using both all year round because, well … just look at them. Not convinced? No problem — I’ll let the pictures (& swatches) do the talking. 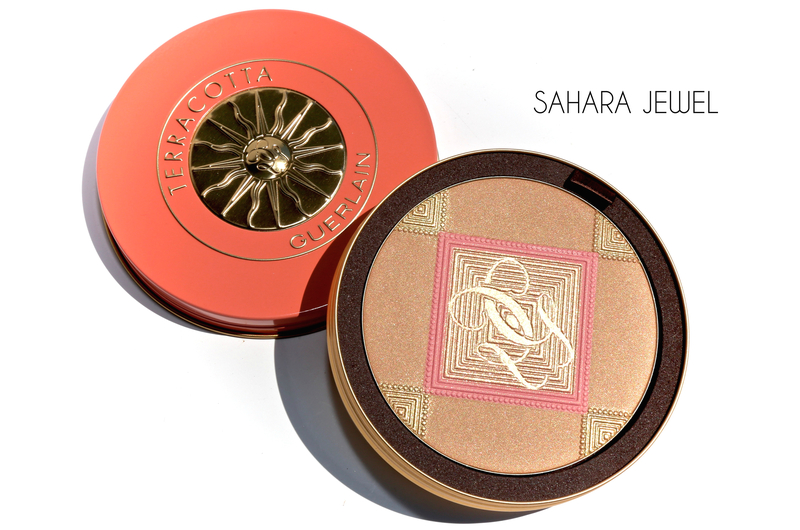 Terracotta Sahara Jewel, limited edition (CAN $80.00) | Housed in a collectible (and reusable) coral coloured tin bearing the brand’s Terracotta sun emblem embossed on the lid, this is Guerlain’s best-selling Nº3 shade all jazzed up. The formula includes ultra fine pearl particles which add a subtle illumination, along with ingredients that provide skin with moisturizing benefits for all day comfortable wear. The surface pattern has a gold overspray that becomes wiped off within the first few swipes, but I still detect a light golden hint remaining behind in the rest of the powder. 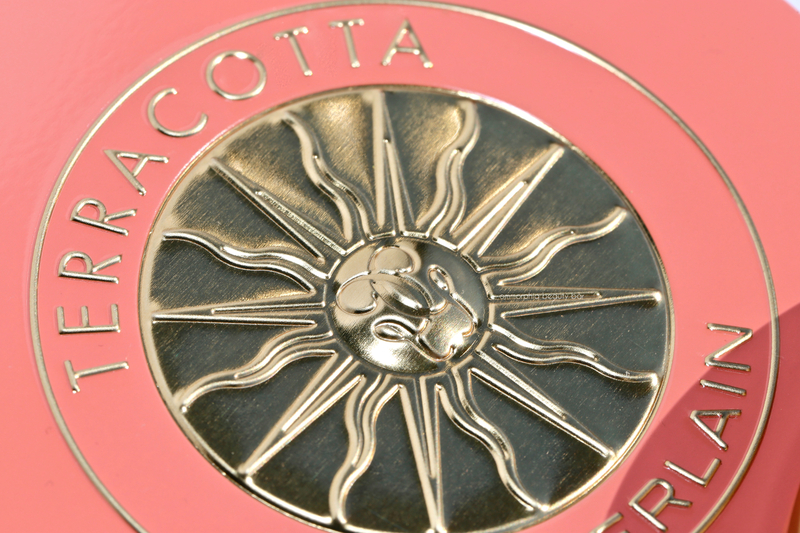 The narrow band of pink is actually enough to provide colour and gives the powder an overall cool-leaning tone. Non-oxidizing upon the skin, this finely milled texture only seems to get better throughout the wearing, fusing beautifully along the skin. The tropical fragrance is one I absolutely love, and will dissipate quickly after application — something those with sensitivities may want to take note of. 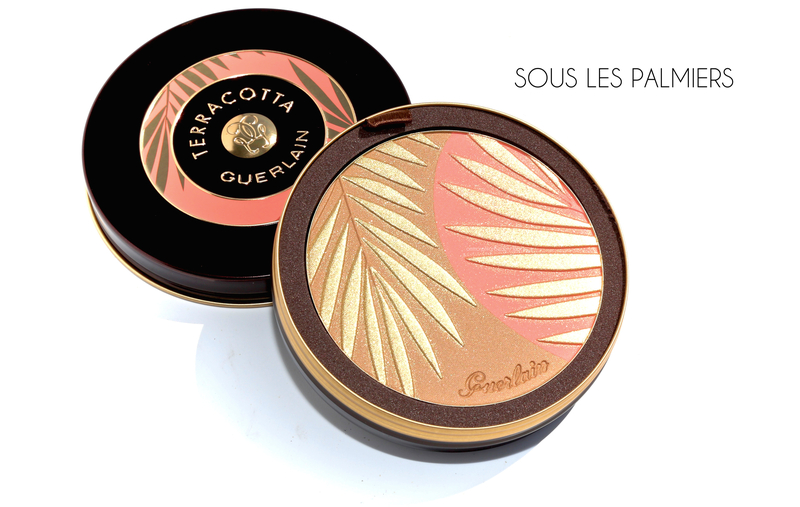 Terracotta Sous Les Palmiers, limited edition (CAN $80.00) | Housed in a collectible (and reusable) tin bearing the Terracotta seal and a palm tree motif, this is the warmer leaning of the two bronzers. 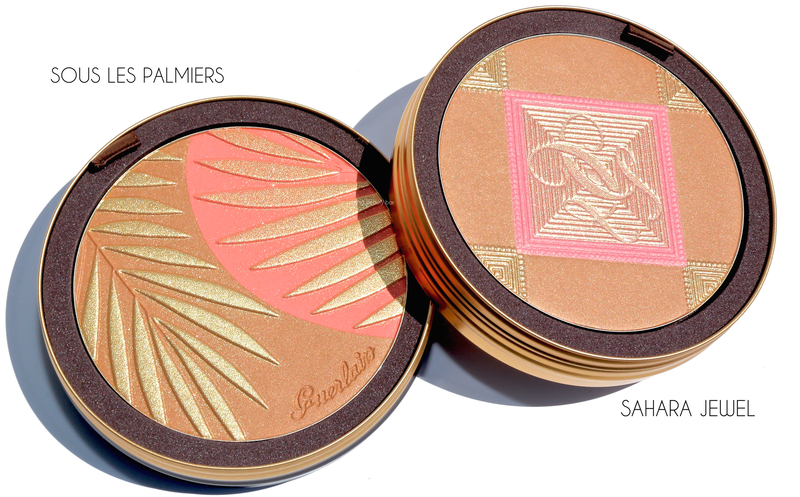 The tan portion is the brand’s best-selling N°3 shade that’s matched up with a gorgeous coral hue, while the raised palm fronds have a gold overspray that much like Sahara Jewel, will be wiped away within a couple of swipes, but somehow the powder still retains a hint of glimmer. Bearing the same delicious tropical fragrance, the colour you wind up with will lean either more blush-like or more as a strong highlighter — all depending on how much of either hue your brush picks up. Personally, as my skin tone is more warm than cool, this shade is not only my best match right now, but I can totally see it working to extend my Summer glow long after the dog days have come & gone. 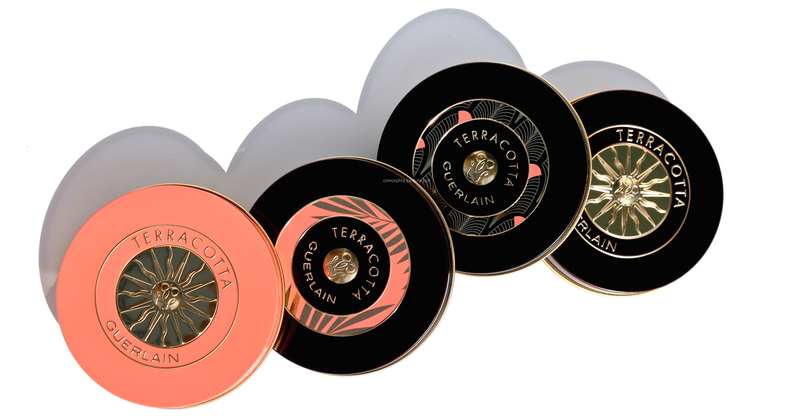 Naturally, I immediately pulled out the the other two similarly packaged Terracotta bronzers in my collection to see how this year’s iterations compared. I’m not sure, but I believe that these four may be all in this format ever produced by Guerlain up to this point; if anyone has more info, please let me know in the comments section. 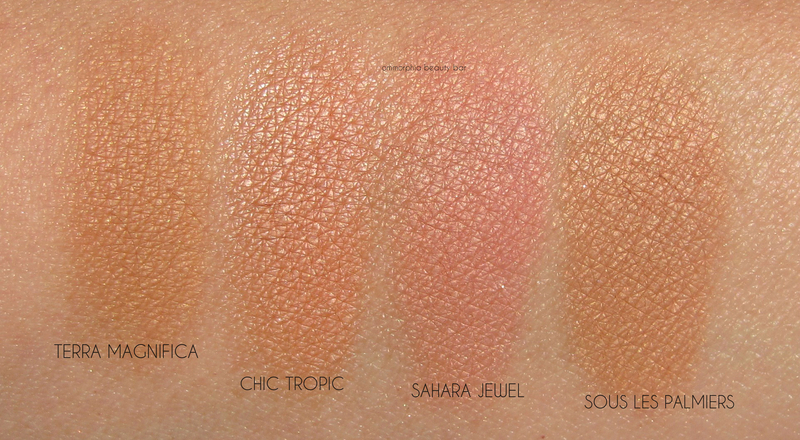 As can be seen in the swatch below, Terra Magnifica (previously reviewed here) and Sous Les Palmiers appear to be quite similar tonally, while both Chic Tropic (previously reviewed here) and Sahara Jewel are quite uniquely different colour-wise. 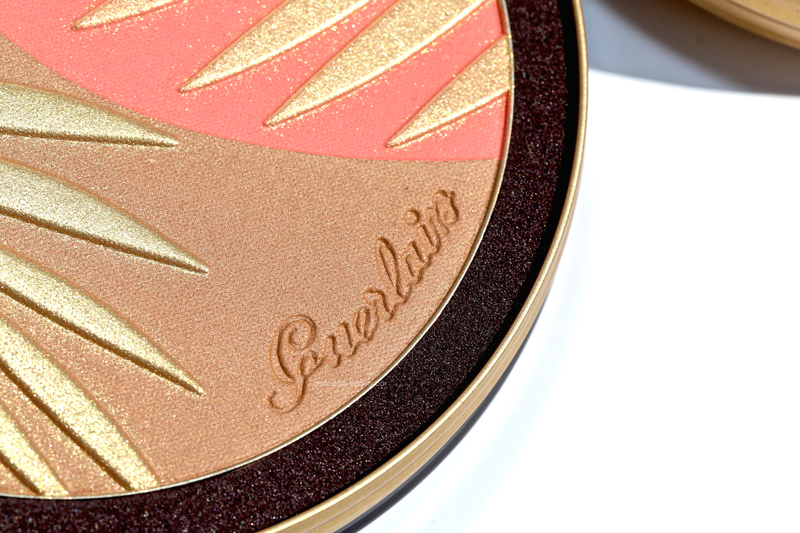 I have more than my share of bronzers to choose from, yet time and again, those from Guerlain are the ones I tend to reach for the most. The short answer is because they are exceptionally made and leave the most believable finish along the skin. But I’d be lying if I didn’t say that a good part of their allure is in the details — something this brand has down to an art form. While I may never come close to finishing one of these beauties so I can repurpose the tin, I appreciate the thought behind the concept, but for now, I’ll stick to enjoying them applied. Heads up, though: they’re both limited edition and if history proves true, they’ll also no doubt sell out lightning fast. I love your wonderful photos and fab descriptions! Thank you so much for the kind words – it’s appreciated! ? Disclosure: OMMORPHIA BEAUTY BAR utilizes select affiliate links which may generate a small commission from clicks that result in a purchase. These links do not affect the content or opinions written on this blog to any degree whatsoever, nor do they constitute any obligation to the reader. All rights reserved, please do not use, take, copy or republish images or content without written permission.